Big Bash League 2018-19: Not for Virat'ians! Australian cricketer, Brad Hodge has named Afghanistan spin wizard Rashid Khan as his favorite modern-day cricketer. Big Bash League 2018-19: Not for Virat’ians! 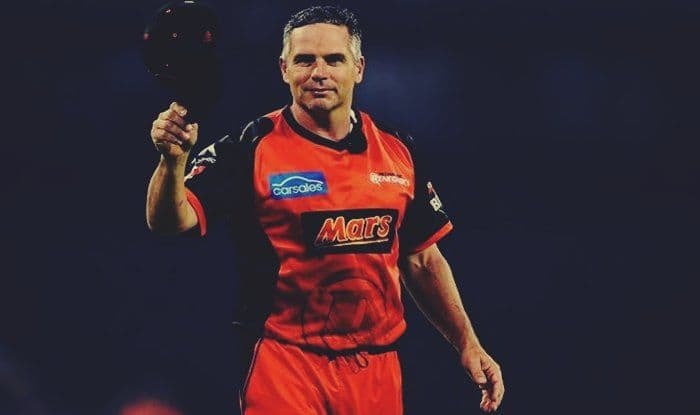 Australian cricketer, Brad Hodge has named Afghanistan spin wizard Rashid Khan as his favorite modern-day cricketer. He has called him the very best because he feels Rashid can fit into any side in the world as he is a magician with the bat and chips in well with the bat at the fag end of the innings. Rashid Khan is currently featuring in the ongoing Big Bash League in Australia and is a major part of the Adelaide Strikers. In a recent match against the Melbourne Renegades, Rashid came up with figures of 12 for two wickets in his stipulated four overs. “Any team@with @rashidkhan_19 playing is a top two team. Greatest t20 player of the current generation,” Hodge tweeted after the match. Here are his wickets from tonight’s game. Earlier in the tournament, Rashid was also awarded the Man of the Match in the tournament opener against the Brisbane Heat at The Gabba a few days ago. Rashid Khan also plays the cash-rich Indian Premier League among the many other leagues he plays around the globe. In the IPL, he is a massive trump card for SunRisers Hyderabad and was one of the many reasons the Orange Army reached the summit clash with Chennai Super Kings. He was also one of the biggest reasons for Afghanistan qualifying for the 50 overs ICC World Cup next year. It will be played in England and Wales. A lot will be expected of Rashid Khan in the tournament and a lot will ride on how he performs.